Welcome to The Marshall County Legislative Delegation. 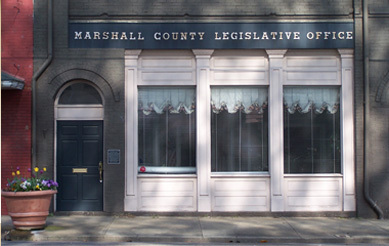 For more than twenty-five years this office has served as a liaison between the citizens, governmental agencies, public schools, service programs and the elected state legislators from Marshall County. The office coordinates the schedules and other administrative functions of the Legislative Delegation, disseminates information to the public about proposed laws and existing statutes, and serves as a point of contact for citizen input on current issues. The purpose of the website is to give the constituents of Marshall County an easy, quick and efficient mode of obtaining information and a greater opportunity to be aware and to participate in the legislative process. Will Ainsworth Officially becomes Lieutenant Governor. #1 Allows posting of the 10 Commandments in public buildings, including schools. #2 Designates Alabama a “Pro-Life” state. #3 Allows changes to the University of Alabama Board of Trustees, #4 Allows certain vacancies to be filled by appointment rather than special elections. Open the link above to read more detail about the amendments. 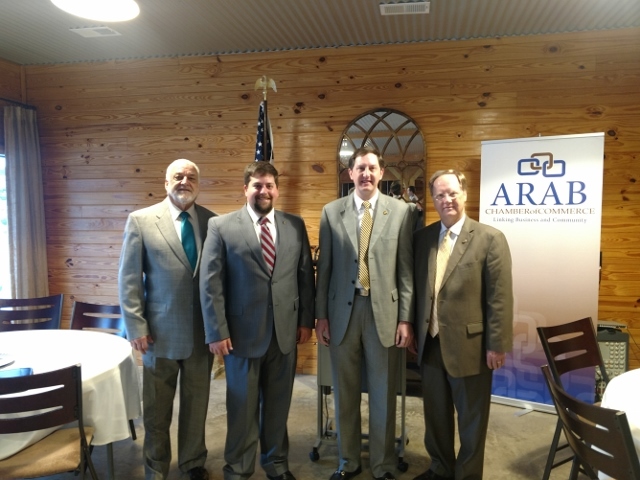 Arab Chamber of Commerce hosts Legislative Update breakfast featuring Senator Clay Scofield, Representative Wes Kitchens, and Representative Randall Shedd all shown here with Arab Mayor Bob Joslin.